Bill Best spoke about recent developments in Hearing Assistance Technology. He participated in a recent update program at the national office of HLAA. The presentation included a number of product samples, and a wide range of supporting literature was available. 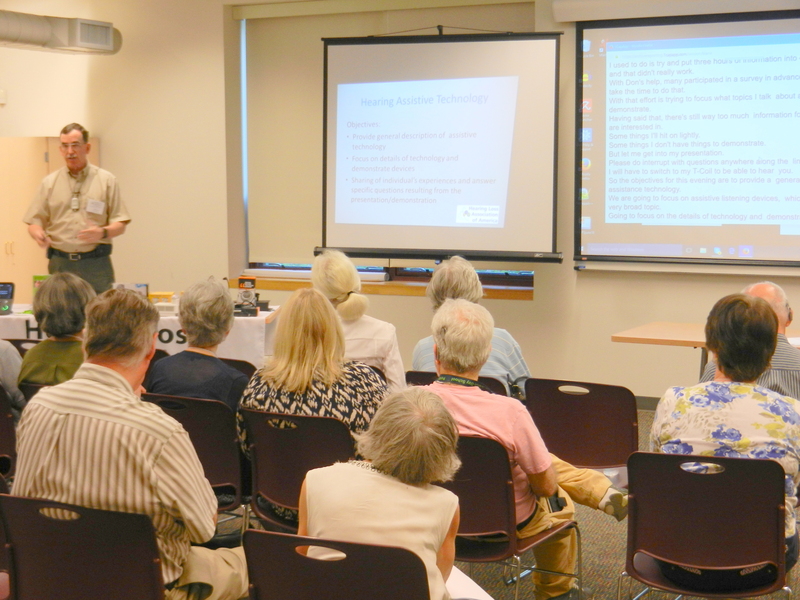 His presentation was based in part on the results of on online survey, a Google Fom, prepared for this meeting. There were 14 responses. National HLAA Convention June 23 – 26 in Washington DC. Several members will attend. HLAA picnic at Fort Washington State Park, July 17. Area HLAA members, families, and friends are invited.